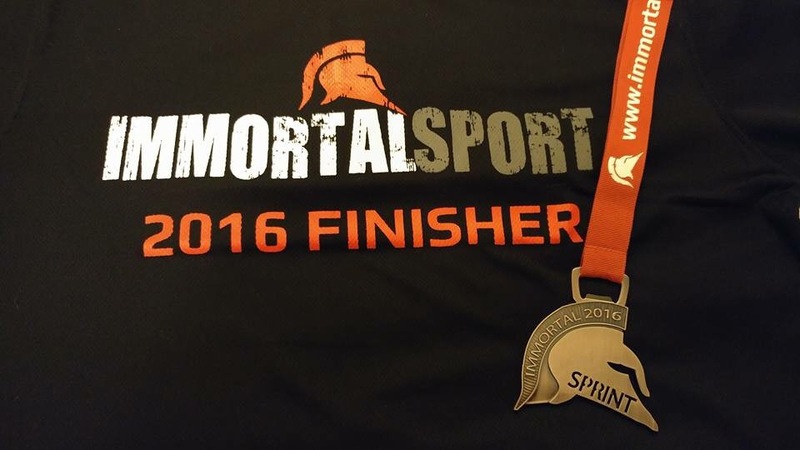 My last blog was on the eve of my first triathlon of the year, the Immortal Mega Sprint. 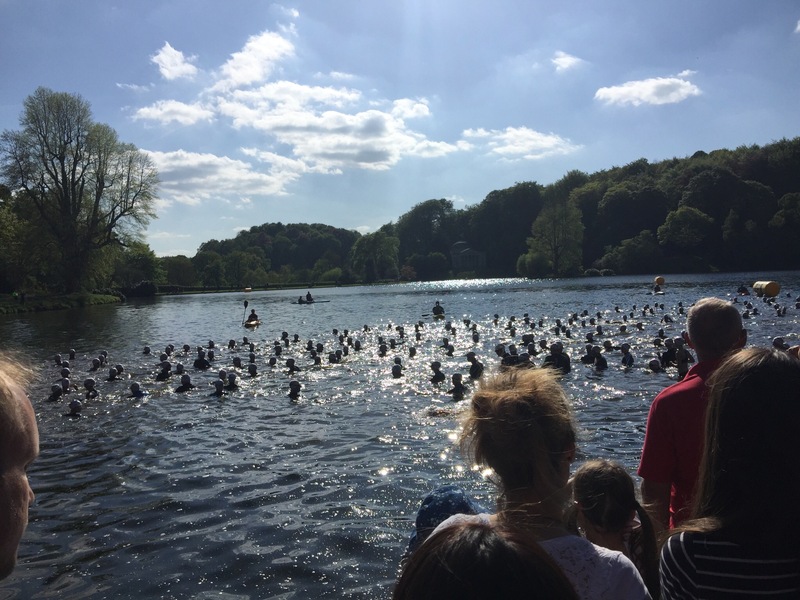 This was one tough short course triathlon which started at 5pm with an absolute bun fight of a swim in the shallow lake at Stourhead. Punched to the back of my head, fingers in goggle straps, feet in your face, elbows clashing and zero visibility when we hit the shallows due to clouds of muck being kicked up as swimmers walked. I obviously swallow some lake muck as had a gurgling stomach the next day. 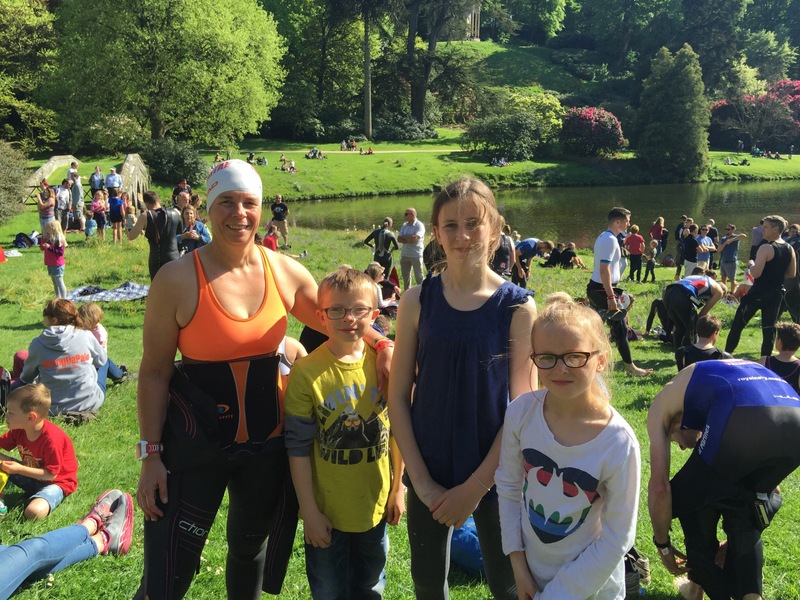 Stourhead was a great location very picturesque and the lake was warm as we swam to the deep water start line. Under water was like an asteroid field with balls of weed/ clumps floating around us. As soon as we barged our way around the first buoy the lake floor rose and so did the muck as we hit shallow patches and visibility disappeared. The following morning my feet were covered in bruises and shredded from the lake. 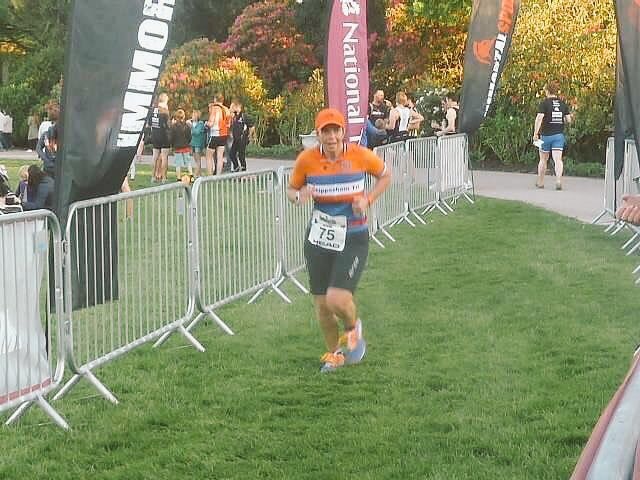 The lake grabbers did a great job hauling us into the plastic pontoon where it was a new element -find your shoes then you ran up the grassy bank to the road and continued 600meters to T2. Many chose flip flops but wet feet & a hill are a bad combination as they slipped out of the flip flops leaving them behind! I had my trusty Gamesmaker 2012 shoes. I dripped my way up hill to T2 so little water left in wetsuit to help peel it off. Grabbed the bike and headed for the hills. 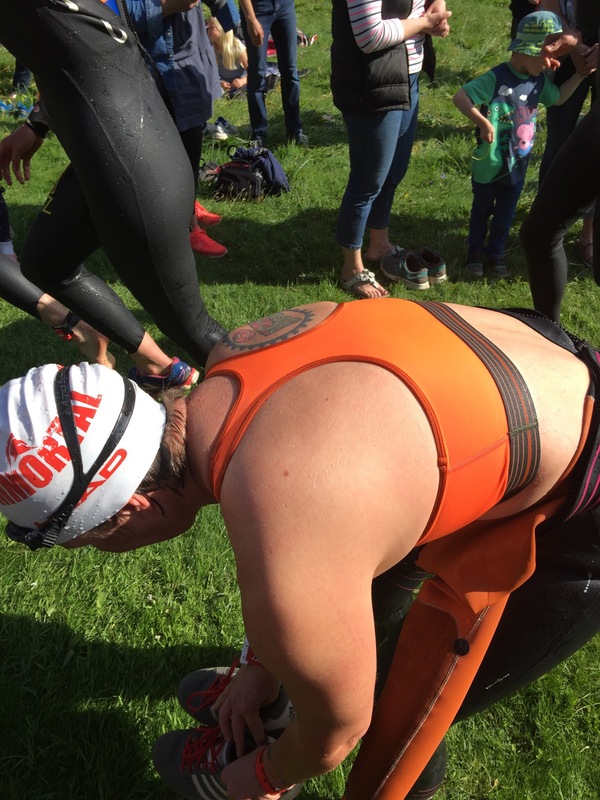 Within the first few miles I managed to pass a few swimmers that had passed me on the hill run up from the lake plus a few others and couple of team mates. 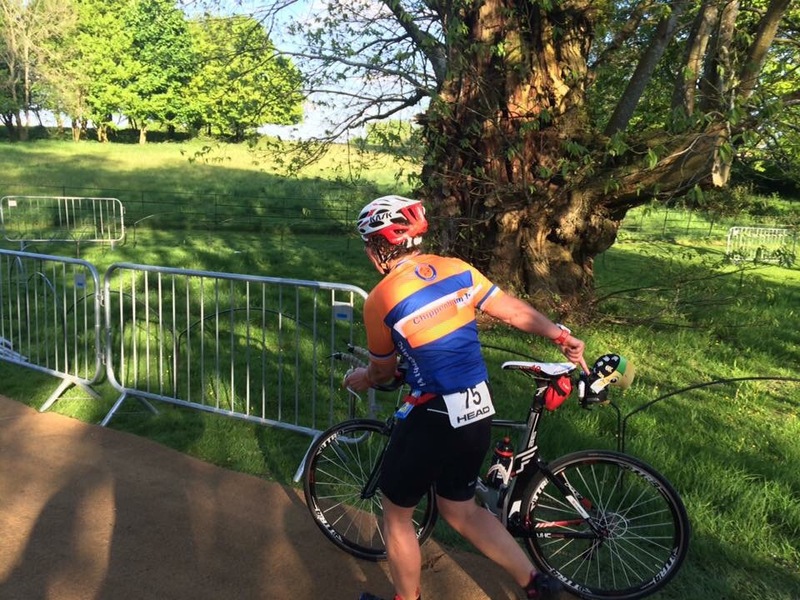 The bike course was 20miles of undulating hills allowing me to use the whole range of gears on my race bike. 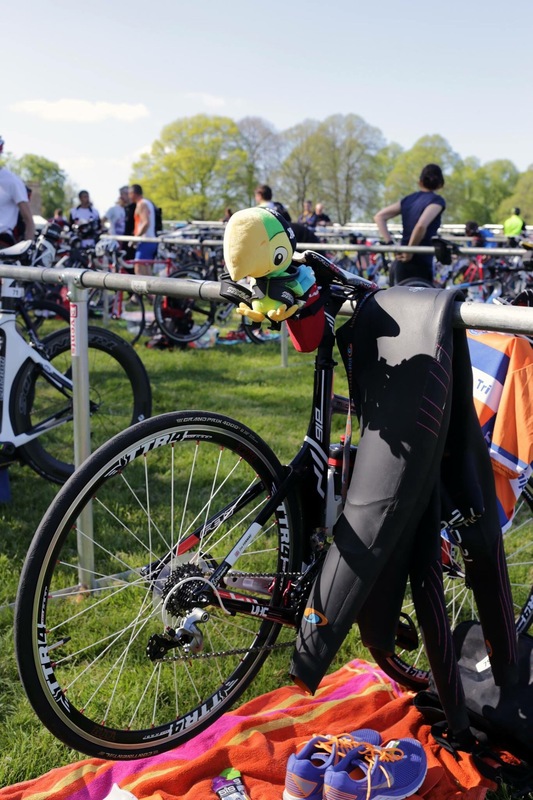 Pete the parrot joined me for the ride at the request of my nephew and nieces who’d come to support. 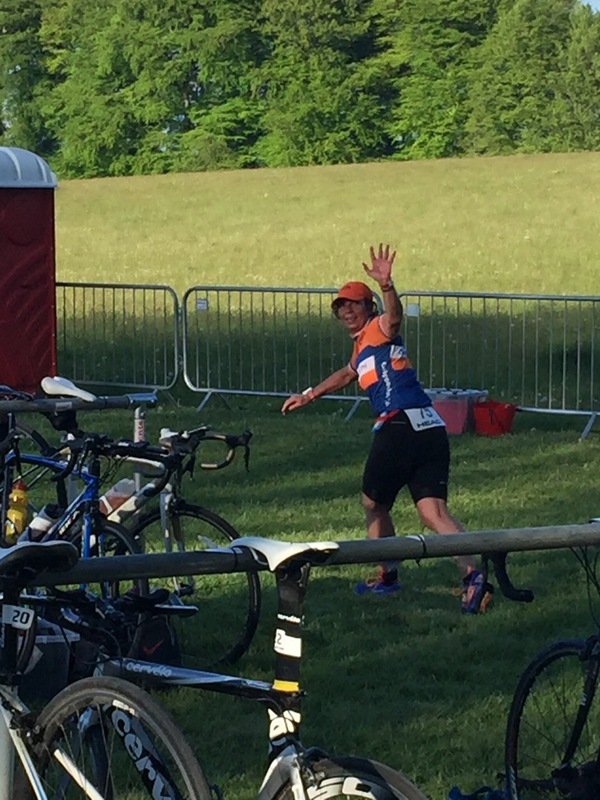 T2 came around just after the hour on the bike I saw family & club supporter and with a wave was off on the 4.5 mile trail run. 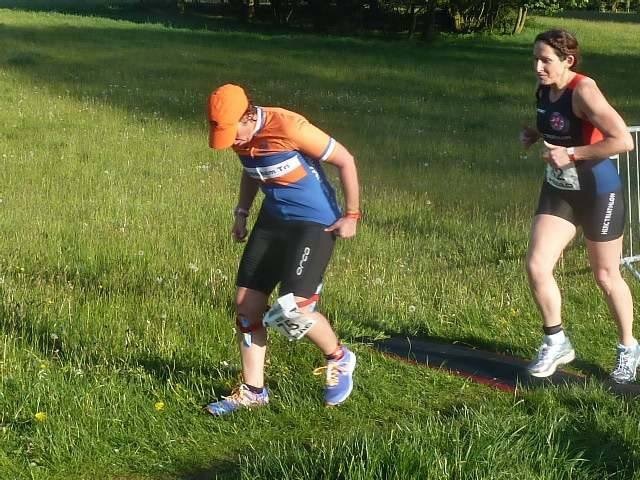 Only I was floored within 5meters as I was turning my race belt round it fell down to my ankles tripping me up! The first mile and a half was up hill on country lanes then we headed into the woods and logging trails. Which continued to be undulating and mixed terrain. Passing a watermill then we’re alongside the lake and that bloody hill again to the finish. Uphill finishes are tough ! The arch was next to the old Manor House and was a welcome sight after 2:30 hours. This was in the time frame of an Olympic distance tri course. There maybe easier sprint tri’s but I doubt any as scenic. A cool medal that is a fridge magnet & bottle opener and another tech tshirt for the collection. Great to have my sister and family supporting and they enjoyed the early evening at Stourhead with a picnic.